So I was (am) Farmer Jo this summer, and I loved it. Back in May, I was inspired by my green thumb friends and family and planted my own deck garden. Recap: I bought railing planters, soil, seedlings, a few seeds, and went for it despite my failure at keeping a couple of houseplants alive. Here’s how I did. First of all, the summer made me scared of seeds. I planted seeds in two pots: a lily and a sunflower. The lily never sprouted from the soil at all. Not sure what happened there. 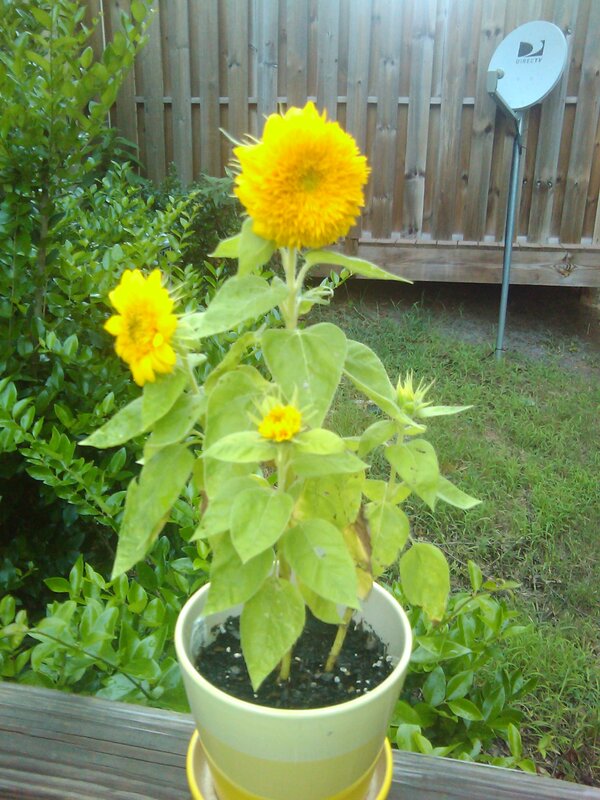 The sunflower came up and it was beautiful until I found out that sunflowers like sun but not too much. It was purty while it lasted but I allowed it to bake to death. So if I ever plant more sunflowers, I’ll put it in a place that gets a little shade during the day. But you know, I don’t back down to any challenge. Seeds can’t punk me! Besides, it is something about checking every day and one day stepping outside to see a new wisp of green peaking out of the dirt. A sense of accomplishment peaks out of the soil with it. For the fall, I’ve planted broccoli and carrots and both have started sprouting. #winning! They look great, and I can’t wait to see how well they do. All of my veggies this summer started as seedlings. I just didn’t want to take any chances with them. 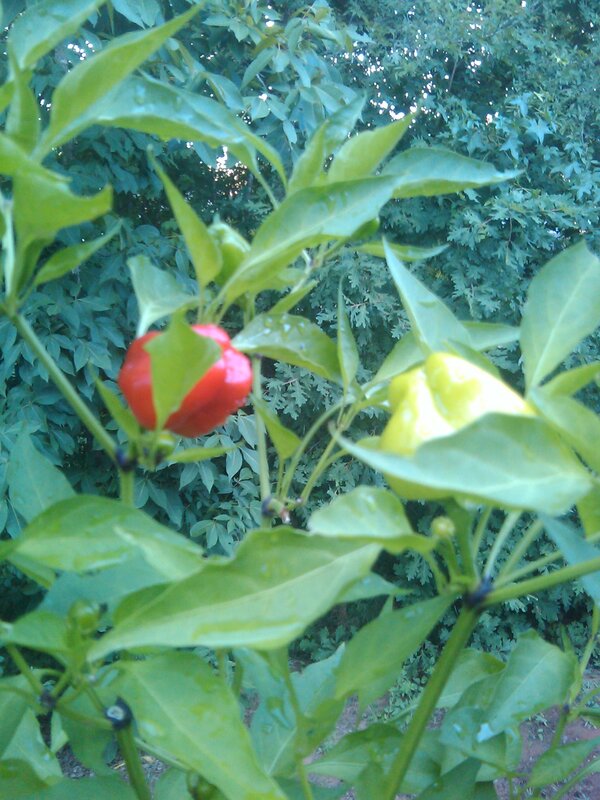 My peppers are banging. Nothing I’ve done have deterred their beautiful growth. 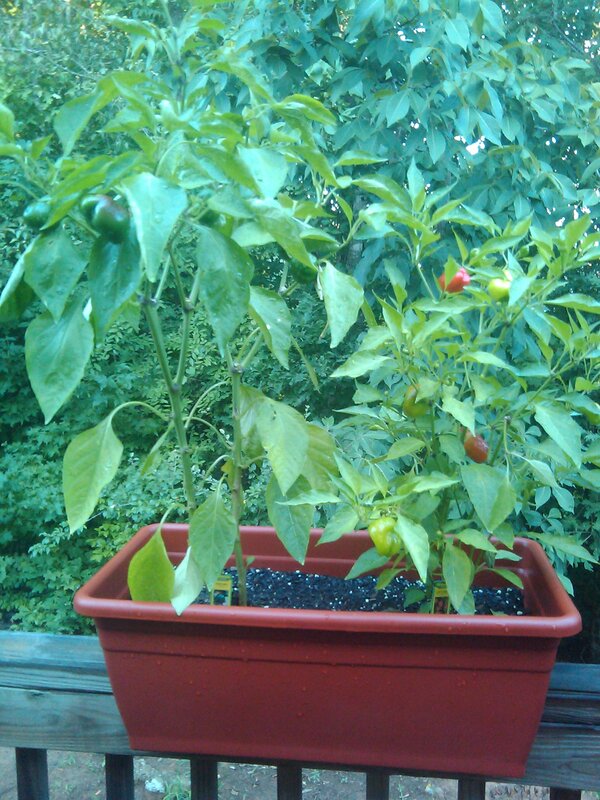 Which makes me grin, especially since my fajita bell peppers looked to be on their last leg the day I planted her. They looked awesome the entire season and gave me plenty of peppers to cook. You can taste the heat in the cajun bell peppers. And you can smell the yumminess of the fajita bell peppers. As the cold weather enters, it has made me frown a bit to see them die, but that’s a part of the cycle of life. I’m very proud of my peppers. I’ll definitely make this my staple every year. My okra was comme ci comme ca. Partially due to space, I only got one okra plant, so there was never any harvest that was big enough for me to fry up more than a couple of slices of okra. It was usually two at a time. It has gotten so tall though. It’s unbelievable. I’m not sure if I’ll plant another of these next year. I just don’t have the space to grow them in bulk that I can see. But my one lil solo plant has hung in there.